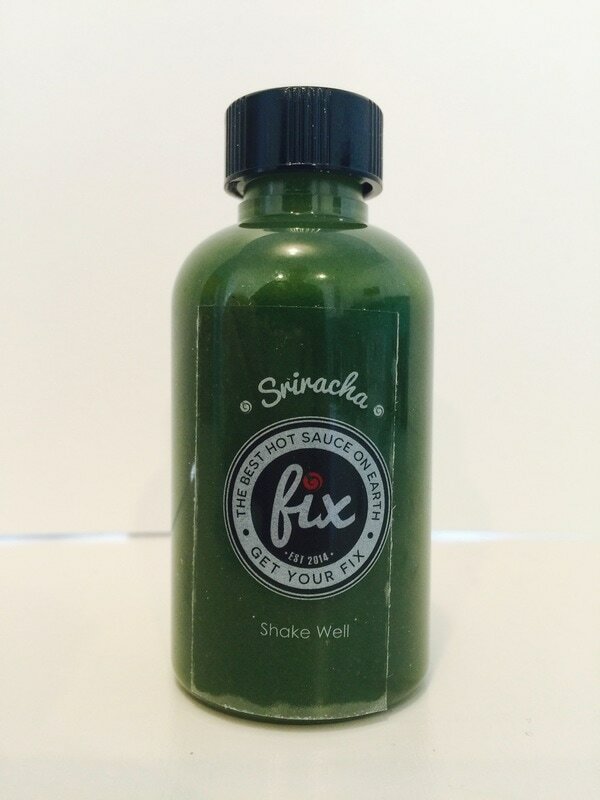 LEMONGRASS SRIRACHA from FIX HOT SAUCE.. 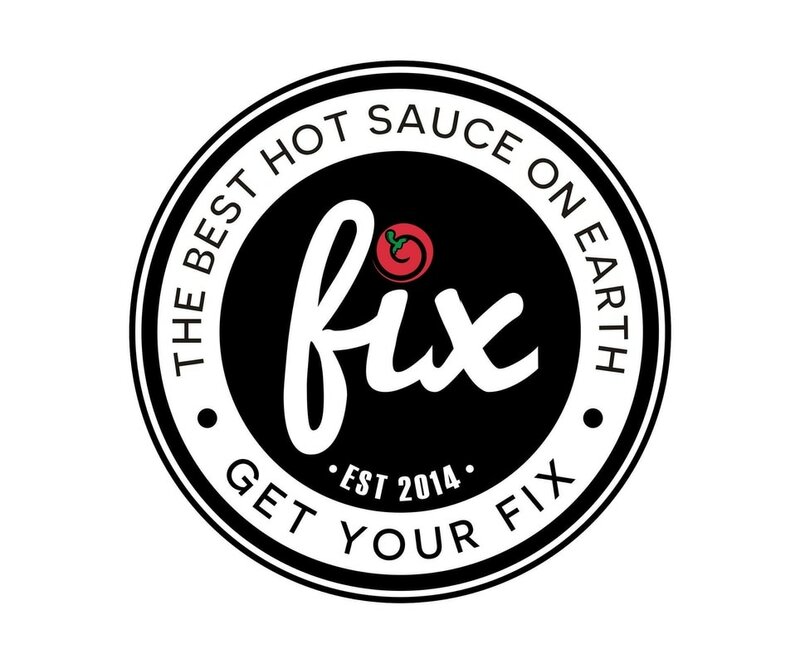 This is Fix's new sauce and they launched a kickstarter to bring it to market. I was excited to learn that the kickstarter has been met and this amazing green lemongrass sriracha will be available soon for purchase on their site. It has a great flavor coming from the ingredients of green organic peppers, lemongrass, lemon, garlic, sea salt, cane sugar and rice vinegar. The lemongrass comes through without over powering the flavor of the fermented peppers, with just the right amount of garlic and lemon to add to it's taste. The addition of the rice vinegar adds a clean zesty flavor and a slight sweetness from a little cane sugar to balance everything out perfectly. The overall texture is a velvety smooth sauce. I was totally impressed by this little green gem and so will you. You can use this on just about anything from poultry, beef, pizza, eggs, grilled vegetables and more. 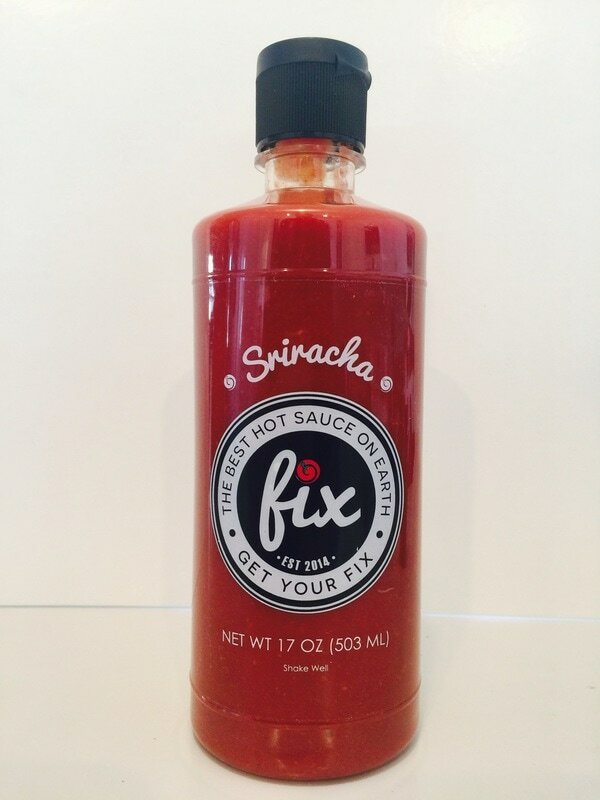 SRIRACHA from FIX HOT SAUCE.. Don't confuse this Sriracha hot sauce with the one that has a rooster on the label. This one is in a league all by itself. It has a real nice heat that doesn't over shadow the great flavor. There is a hint of sweet at the end with just the right amount of garlic, fermented chili peppers and the smooth tang from the rice vinegar. 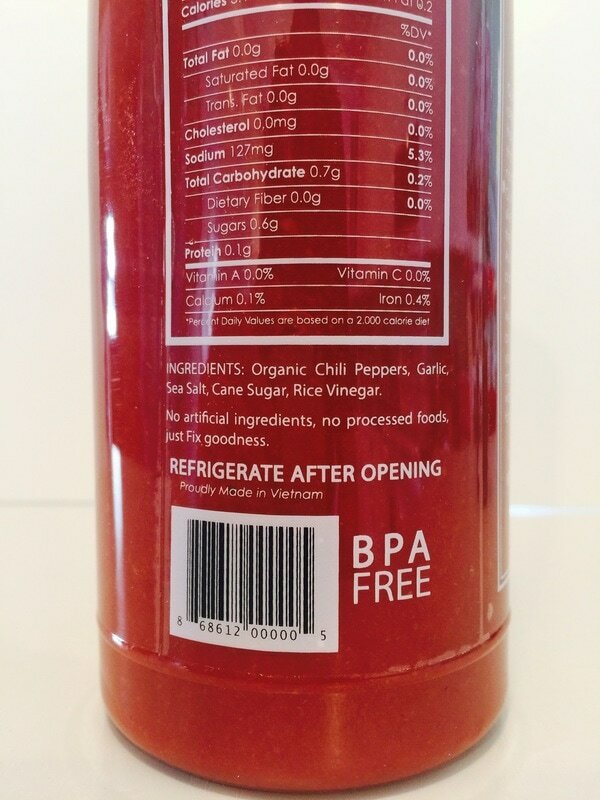 The organic chili peppers adds a fantastic fermented chili flavor that is refreshing, unique and lingers on your taste buds. This sauce would work great on Asian cuisine, on breakfast, lunch or dinner. You will love this sauce mixed in with anything you would use as a dipping sauce.